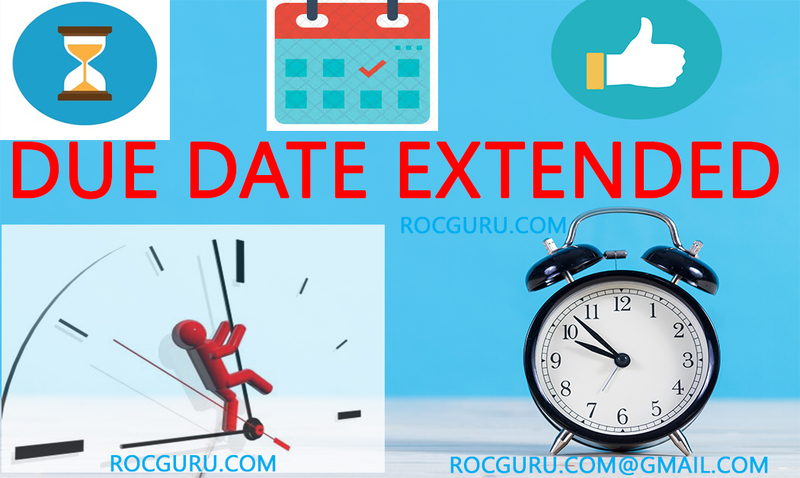 Extension of due date of GSTR-3B to 25th October, 2018 Extension of due date of GSTR-3B to 25th October, 2018 - RocGuru: GST Filing| Business Registration |Trademark | EPF & ESIC Compliance. It has been brought to notice that there have been apprehensions by trade and industry relating to the last date for availment of ITC for the period July, 2017 to March, 2018. In order to remove doubts, it was clarified that as per the law, the last date for availing ITC in relation to the period from July, 2017 to March, 2018 is the last date for the filing of return in the FORM GSTR-3B for the month of September, 2018. 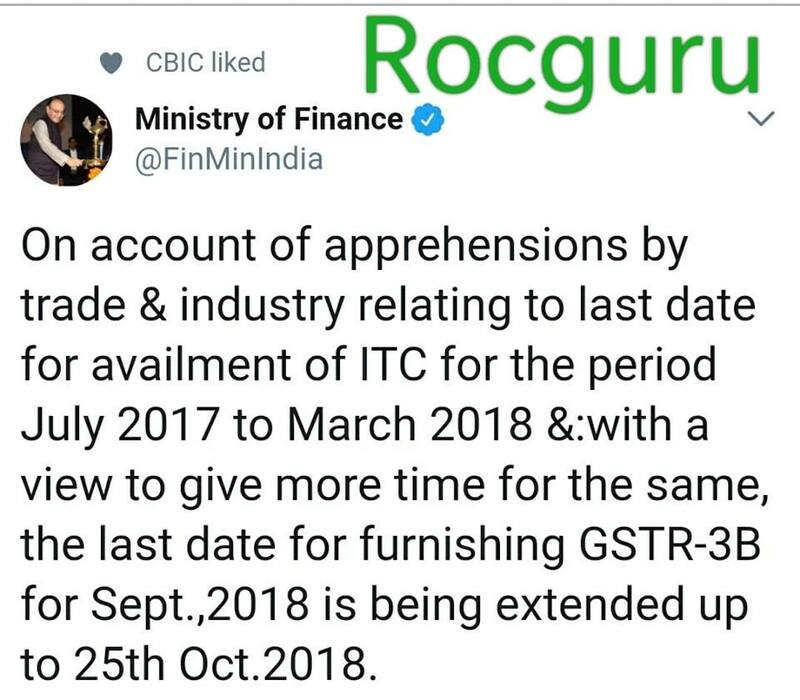 In view of the said apprehensions and with a view to give some more time to the trade and industry, the last date for furnishing return in the FORM GSTR-3B for the month of September, 2018 is being extended up to 25th October, 2018. Relevant notification will follow shortly. The extension of the said due date also implies that the last date for availment of ITC for the period July, 2017 to March, 2018 also gets extended up to 25th October, 2018. It may also be noted that the Government has extended the last date for furnishing of return in FORM GSTR-3B for the month of September, 2018 for certain taxpayers who have been recently migrated from erstwhile tax regime to GST regime vide notification No. 47/2018- Central Tax dated 10th September, 2018. For such taxpayers, the extended date i.e. 31st December, 2018 or the date of filing of annual return whichever is earlier will be the last date for availing ITC in relation to the said invoices issued by the corresponding suppliers during the period from July, 2017 to March, 2018.